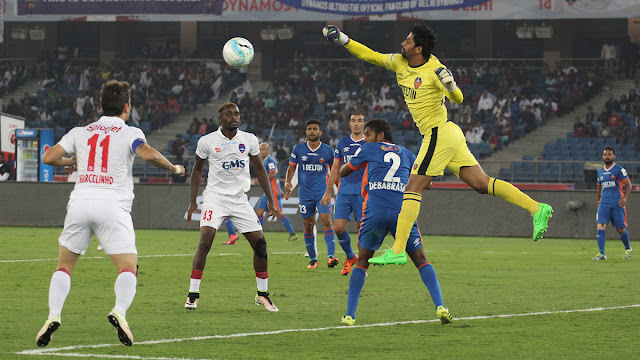 Delhi Dynamos demolished FC Goa in the Hero ISL 2016 encounter on Sunday, 27th November 2016. Marcelinho was the star of the show scoring a wonderful hat-trick while his striking partner Gadze netted a brace. For FC Goa the only goal came in the 31st minute through Fulganco Cardozo. With the victory Delhi Dynamos FC are in second spot in the league table above Atletico de Kolkata. FC Goa will end the season on a low as they cannot jump any higher in the points table seated bottom with 11 points from their 13 games.